Notes: Exhibit titles: Marchand, Louis Lion, Paris, Exhibition #478, Cornu, Eug, & Co., Paris, Main Building, Bldg. #1. 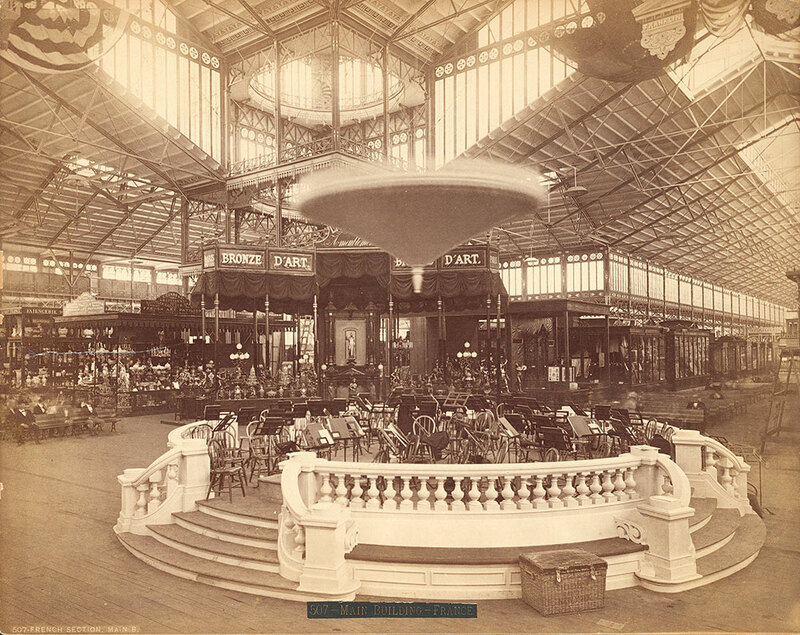 Notes: Interior view of the Main Building, showing the French section with bandstand filled with chairs and music stands in foreground and people seated. Displays (including one for bronzes) and the building ceilings in the background. A trunk is in front of the bandstand and a light hangs over it. Notes: Title on label: Main Building--France.